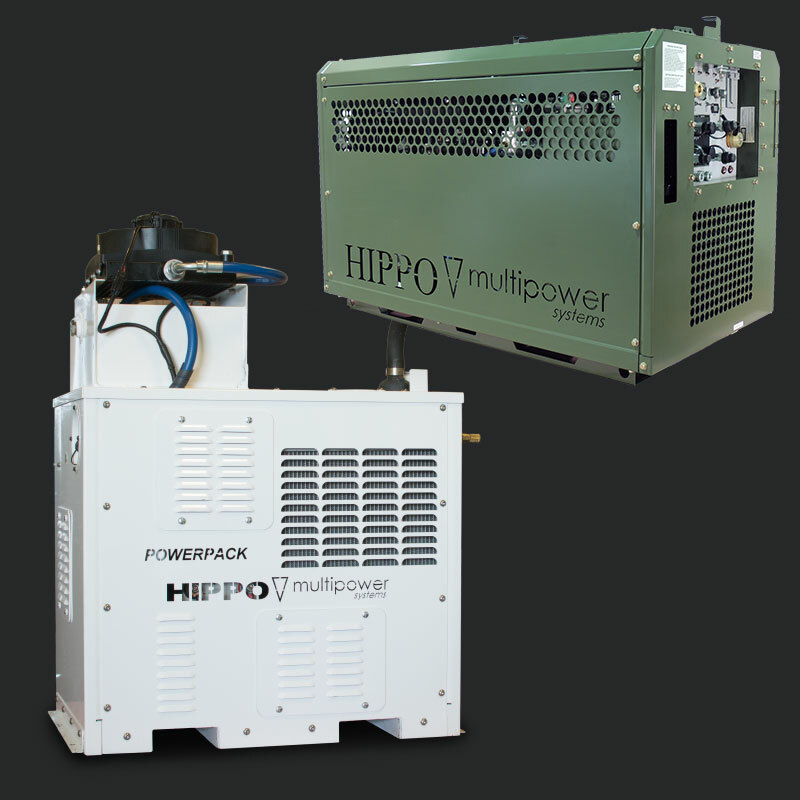 HIPPO Multipower is the expert in mobile multipower solutions. We manufacture and distribute one-of-a-kind mobile multipower solutions that continuously outperform and overpower the competition. Whether you need hydraulic, air, electric or welding power, we’ve got you covered with a line of durable, versatile and cost-effective units designed with your toughest jobs in mind. Every day, our products are answering the call of duty—on and off the battlefield—in military, municipal and railroad applications. The way we see it, our number one job is to deliver a product that helps you do your job safely and efficiently. So let’s get to work. HIPPO Multipower was founded in Kansas City, Mo. in 1972 as a truck equipment upfitter, specializing in aerial bucket trucks. After developing a reputation as a mobile hydraulic equipment specialist, we built the industry’s first multipower unit in 1980—delivering hydraulic, air and electric power, all from one unit, all powered by a truck’s PTO. In 2006 we developed the E-Model series, which operate with a separate engine drive and lower level of power output to serve a broader market. The following year, we introduced the P-Model series, which opened the door to a larger truck mounted PTO market. We began selling the CPS units to the US Army Combat Engineers in 2008. Then, in response to a growing need in the rail industry, we developed a severe duty track-mounted version of our multipower unit and delivered the first units to Union Pacific Railroad. We’re proud to say the HIPPO CPS 2032E was granted a National Stock Number, opening availability to all US government entities. As of December 31, 2010, the US Army Engineers HEPPOE Tool Kit was declared a program of record. The HIPPO CPS 2032E is the backbone power unit of that kit and nearly 1,000 have been fielded to military units around the world.